Send us your envelopes, we'll print them for you! The following information details the requirements. We provide an "upload link" for custom artwork & fonts on the order confirmation page & within your email order confirmation. Please use these links to upload your files. Depending on the size of you order, we require up to 20 extra envelopes for printing setup or any potential printing error. Any extra envelopes will be returned to you. What if LCI is Unable to Print My Envelopes? 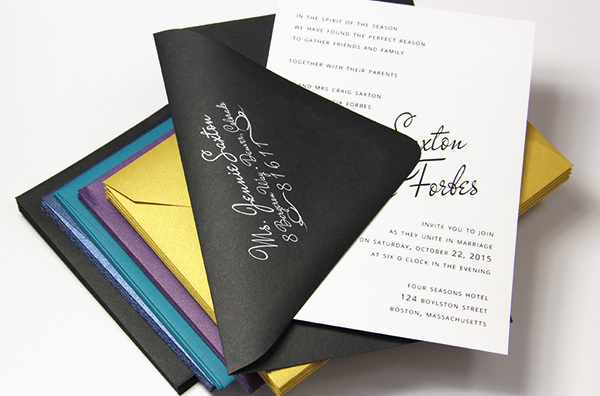 Barring envelopes that are too heavy in weight or texture, we are able to print on most envelopes. However, if we have difficulty with your envelopes for any reason, we will contact you as soon as possible to arrange the return of your unprinted envelopes. Return shipment fees will apply & LCI Paper will not be responsible for wasted envelopes (partially or completely) under any circumstances. LCI Paper will not assume liability for stock supplied in how it is received, printed, delivered or used. LCI Paper is not liable for damage to envelopes after product delivery to our customer. This includes tears, scratches, markings & any other unforeseen occurrence that may happen during the mailing process. This is the sole and exclusive responsibility of the consumer. UPS shipping fees & methods apply to all envelope supplied orders. Flat Rate, Promotional & Discount Shipping is not available on supplied envelope orders. This policy applies to return shipments for unprinted or printed envelopes. Can I supply my own envelopes for printing? 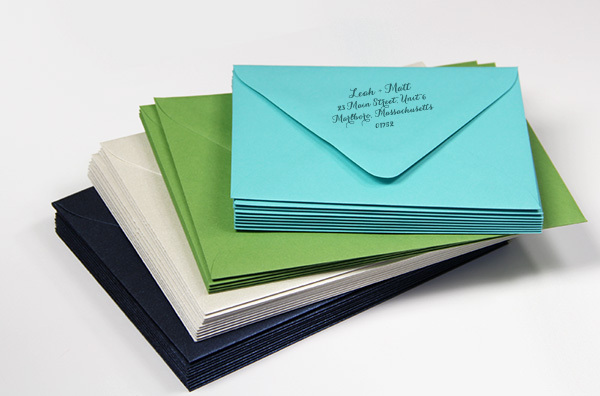 Customers often ask if they can send their own envelopes for printing or if they have to use envelopes stocked by LCI. The answer is yes, we do accept customer supplied envelopes for printing. The details and instructions for ordering are below. We are capable of printing on most smooth finish envelopes, with and without coating. We are able to print on envelopes made with 95lb text paper and under. Unfortunately our equipment does not produce satisfactory results on heavily textured, embossed envelopes. Depending on the size of you order, we require up to 20 extra envelopes for printing setup or any potential printing error. Any extra envelopes will be returned to you. You will be responsible for the cost of sending us your envelopes as well as the cost of return shipping. You can ship your envelopes to us any way you'd like so long as they are securely packed in a box. When you place your order, you will be able to select your preferred return shipping method. Prices vary with the weight of your order, your location, and the method you choose. After you place an order and send us your files, we will send you a PDF proof for your approval. 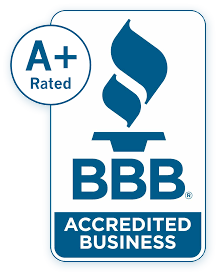 Printing takes approximately 2 business days from proof approval. To place an order for customer supplied envelope printing, please enter your quantity and specs above, send us your address list and/or fonts, and wait for your proof! LCI Paper is not able to print on all kinds of paper envelopes. If we have difficulty with your envelopes for any reason, we will contact you as soon as possible and return your unprinted envelopes to you.